* Leads Cognizant’s healthcare digital transformation practice. * With over 20 years of healthcare experience, Sashi has worked with payers, providers, pharmacies and PBMs with a focus on innovation, business and IT transformation, growth strategies and connected health. * Sashi is currently focused on advancing how to simplify the practice and experience of care, using machine intelligence, to drive insights which, through precision engagement, lead to better health outcomes. 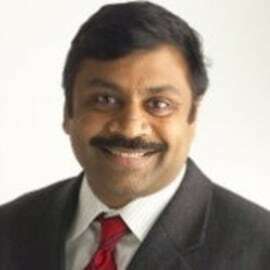 * Published author and key contributor to Cognizant’s thought leadership agenda in healthcare. * Sloan Fellow, London Business School.